Their design is mostly functional as is, but until now no one has really stopped to ask if the handles on the back of a wheelchair could be improved. It turns out the answer is yes—an emphatic yes, in fact—given how useful these ergonomic alternatives appear to be. 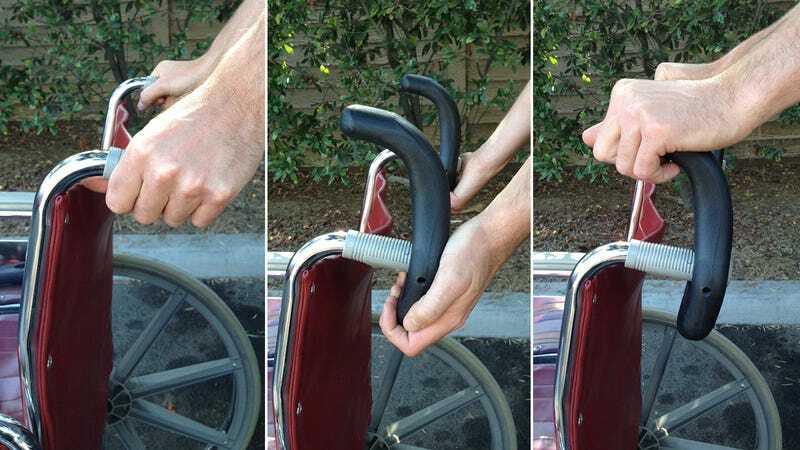 Designed to make it more comfortable for someone behind a wheelchair to push it while it's being used, these handles can be held in several different ways. As a result, they provide better grip and better leverage especially when pushing or pulling a wheelchair up a steep grade.